After the incredible heatwave we had last week, summer really is round the corner and we can’t wait to enjoy the sunshine. There really is nothing better than lounging in a chair in the garden, basking in the sun as you sip on a refreshingly cool beverage. With that in mind a dessert parlour in Scotland has come up with a creation perfect for those hot summer days – a Vimto Slush Puppie. Delicioso Dessert Parlour has been creating slushies for the residents of Kirkcaldy in Scotland since June last year but this one is their best yet. Combining the classic drink with icy slush, the result is rather fantastic and it’s no wonder it has proven popular with customers. Not stopping there the shop also sells Ribena, Capri Sun and Rubicon Mango slushies and I need them all in my life right now! If you fancy one it will only set you back £3.50 but you would have to be quick as the Vimto ones in particular are always a sell out. The announcement of the creation of course went viral receiving, at time of writing (April 24) over 2,000 shares and 1,500 comments. But you may not have to travel to Kirkcaldy to get a taste of the action as through doing some digging it appears Vimto themselves sell their very own slushies. Two years ago the company launched their Vimto Slush at Selfridges Trafford and Selfridges Bullring but the popularity of the drink led them to expand, meaning they’re now available elsewhere including Blackpool Pleasure Beach. The drinks can be bought at the ‘Vimto Factories’ based at these locations which also sell other delicious goodies including soft drinks and confectionary. 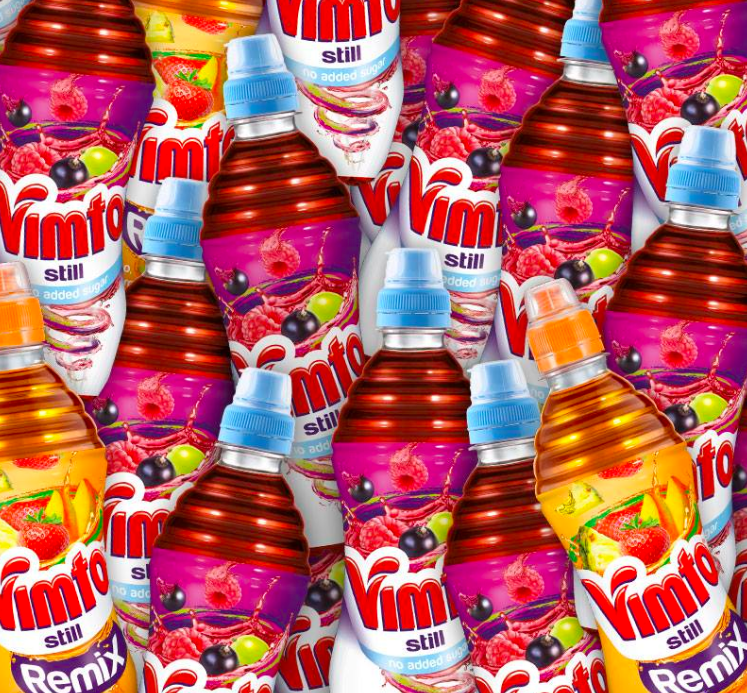 There is also some old school merchandise you can purchase if you are a big Vimto fan!
? Visit the Vimto Factory in Selfridges intu Trafford Centre and Bullring Birmingham and get your hands on some millions! 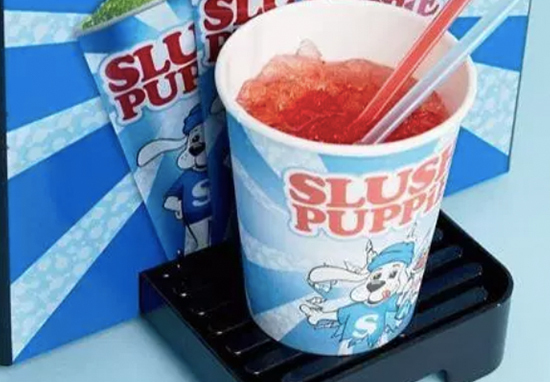 Meanwhile Slush Puppies themselves are set to be big once again this summer as ASOS is selling a machine you can buy for your own home to make the delicious icy yumminess! That’s right – you can grab an iconic machine from the online store for the reasonable price of £59.99 which would be perfect for any barbecue or summer party. The machine can whip up a whole litre worth of slush meaning there will be plenty to go around. Unfortunately the official syrup is not included, but it is available to buy at Menkind for an affordable price. If that doesn’t take your fancy though Coca-Cola is releasing its very own slushie which will be flavoured with lemon. 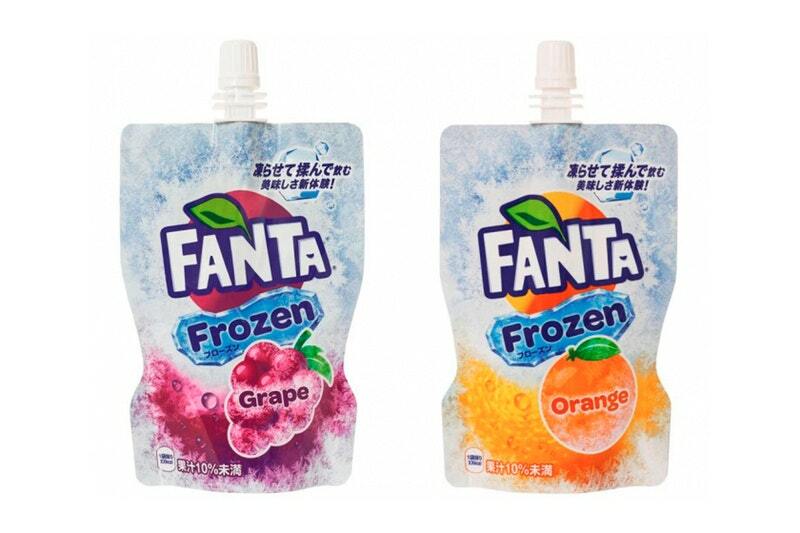 Wanting to get in on the slush action too is Fanta which this summer will be selling grape and orange flavoured icy versions of their popular drink. Unfortunately these will only be available in Japan but if you do live there you can pick one up from now. Selling at the recommended retail price of 130 yen ($1.21), we think these will be incredibly popular! I just hope they sell out so Coca-Cola in Britain is encouraged to take the product on!